Many, many, many years ago Kaulder (Vin Diesel) killed the Witch Queen (Julie Engelbrecht) who cursed him with immortality in the process. Ever since Kaulder has worked as a witch hunter. Now he is the last of his kind and most of the remaining witches live normal lives and stick to the rules. But then things start to go very wrong, starting with the murder of Kaulder’s scribe, advisor and friend, the 36th Dolan (Michael Caine). It appears that the Witch Queen isn’t quite as dead as Kaulder thought. Together with witch Chloe (Rose Leslie) and the 37th Dolan (Elijah Wood), Kaulder takes up the fight again. 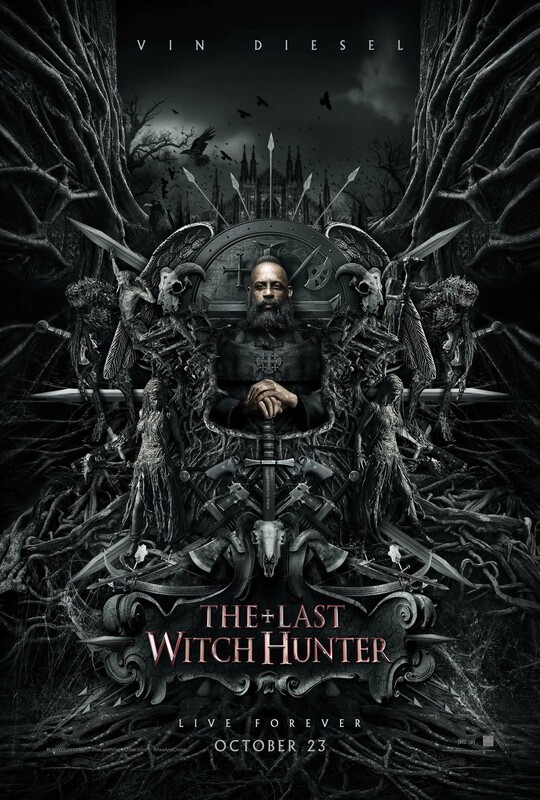 I didn’t expect The Last Witch Hunter to actually be a good film, but I thought it would be an entertaining schlockfest. Unfortunately, the film aimed higher than that and ends up in the boring, disappointing middleground: not really bad, but not much good either. Clint (Elijah Wood) has reached a low point in his life. He had to move back in with his mother and instead of working on his novel, he has to start earning money working as a teacher. Things seem to be looking up when he realizes that Lucy (Alison Pill) is working with him. But that hope is quickly squashed: Lucy has a boyfriend, Coach Wade (Rainn Wilson). Oh, and the children in the school are turning into bloodthirsty zombies, which is also not really great. 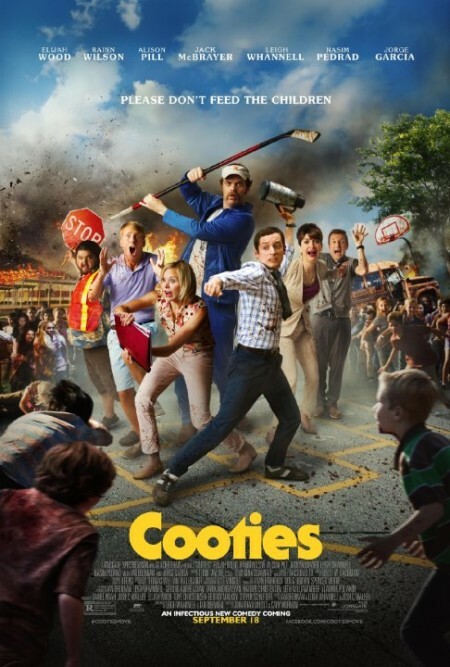 Cooties was a thoroughly entertaining film, pretty much the epitome of a horror comedy. It has excellent pacing, a suitingly black sense of humor and an infectious energy (no pun intended) (or maybe I did?). Many, many years ago, there were dwarves living in Erebor, amassing huge riches until they were attacked by the dragon Smaug (Benedict Cumberbatch). They lost their mountains, their gold and were scattered in many directions. Now Thorin Oakenshield (Richard Armitage) last descendant of Erebor’s king, is ready to get it all back. So he put together a group of loyal dwarves, but asks the wizard Gandalf (Ian McKellen) to find a 14th member for their party. Gandalf recruits the hobbit Bilbo Baggins (Martin Freeman). 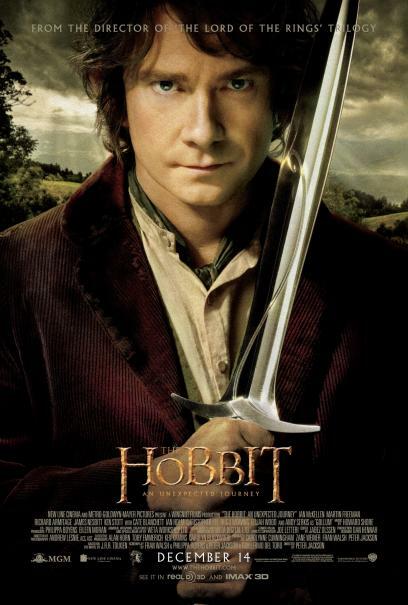 Bilbo is reluctant – as a hobbit, he generally doesn’t think much of adventures or leaving home at all – but he is finally convinces and so all of them set off for a great adventure. An adventure that proves more dangerous and connected to more things than initially assumed. For practically anybody of about my age (and of a nerdy/geeky persuasion), the Lord of the Rings films were more than just movies – they were events that opened me and my friends up to many things, but especially to the intricacies of internet fandom and all that entails. It seems clear that 10 years later the Hobbit can’t quite reach that status anymore. But An Unexpected Journey is a film that I enjoyed for the most part. Something weird is going on in Herrington High School, Ohio. Even weirder than the usual high school occurrences, that is: aliens are slowly taking over the teachers, starting with the football coach (Robert Patrick). But a group of teenagers notice that something weird is going on: nerdy Casey (Elijah Wood), gothy Stokely (Clea DuVall), jock Stan (Shawn Hatosy), cheerleader Delilah (Jordana Brewster), bad boy Zeke (Josh Hartnett) and country girl Marybeth (Laura Harris) get thrown together by circumstances and decide to fight. I think I saw The Faculty the first time when I was 14, maybe 15. Until then I hadn’t had much contact with horror in general (though I probably had read a Stephen King novel or two), but I knew high school movies. 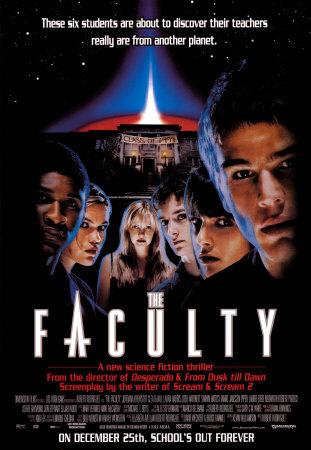 And in its combination of High School and Horror, The Faculty proved to be my gateway drug into the entire horror genre (arguably also because I was madly in love with Josh Hartnett’s Zeke afterwards). I love it for that. 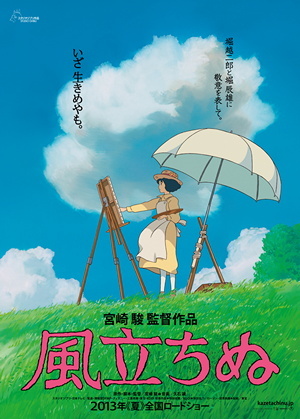 But also as a movie in its own right, it’s pretty damn awesome.